Critical questions remain unanswered on the events of the cold-blooded and devastating terror attacks in Mumbai on 26 November 2008. Investigative and introspective, this book offers a lucid and graphic account of the ill-fated day and traces the changing dynamics of terror in South Asia. Using new insights, it explores South Asia’s regional dynamics of antagonism, the ever-present challenge to the frontiers of India, Pakistan and the terrorism question, the strife in Afghanistan and the self-serving selective US ‘war on terror’. Including a new Afterword, this second edition will greatly interest those in defence, security and strategic studies, politics and international relations, peace and conflict studies, media and journalism, and South Asian studies as well as the general reader. 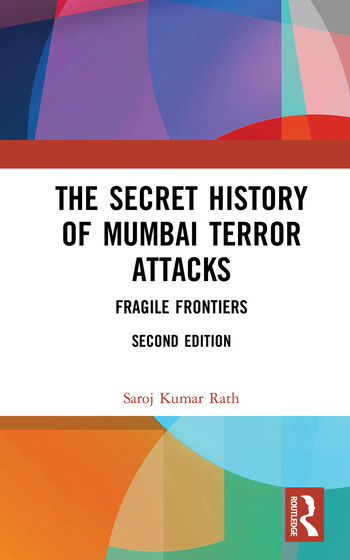 Saroj Kumar Rath is a historian and specialist on terrorism in South Asia, and teaches at the Department of History, Sri Aurobindo College (Evening), University of Delhi, India. A member of NATO-Academia dialogue, he was formerly with Hosei University, Tokyo and Deakin University, Melbourne. He has been assisting home government and international organizations in understanding the causes of extremism in South Asia and working towards possible solutions. A regular speaker at global security forums, he is a visiting faculty member at the Universidad Autónoma de Nuevo León, Monterrey, Mexico and Vice President of the Ottawa-based Alternative Perspective and Global Concern.